Susana has mastered traffic generation through Pinterest and enjoys sharing the most up to date strategies to help others improve theirs. When most people talk about social media marketing Pinterest is often way down on the list. But content creators that dismiss the platform or don't take it seriously are missing out BIG TIME. If that's you, buckle up and read. It's time to get learning. 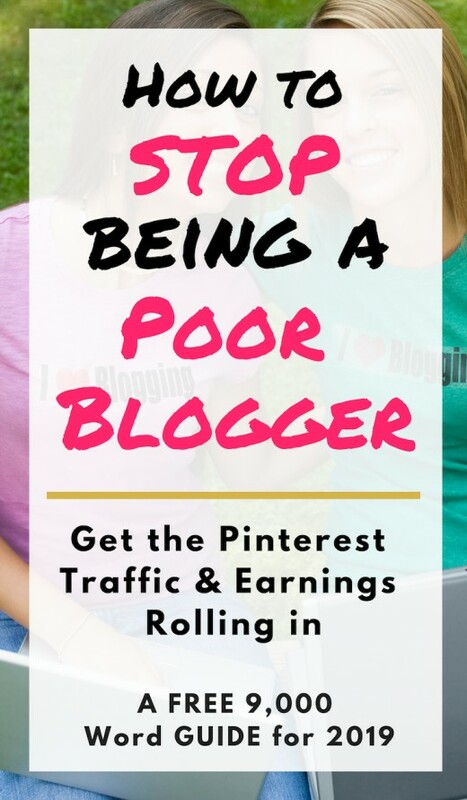 In 2019 Pinterest has the power to make the difference between being a blogger who scrapes by to one that has good, even excellent, money coming in consistently every month. Pinterest is literally brimming with potential traffic for your content and if you're not using Pinterest (or not using it properly) you're leaving many hundreds or thousands of dollars on the table each month. First off, who is this Pinterest marketing guide for? It's for anyone who creates online content - that's written content or video content. You might be a blogger, vlogger, course creator, hubber (a Hubpages writer), website owner, a writer on other platforms such as Medium, or maybe even an instagram influencer. Whatever your background, this free Pinterest guide is going to help you become Pinterest savvy and take your online income to another level. Read carefully because I'll be sharing everything I've learned in the last eight months of my Pinterest immersion. (I have literally lived and breathed Pinterest for that whole time. I've taken paid courses, bought ebooks, watched countless videos and been an active member of Pinterest Facebook groups). Pinterest is the easiest venue to get consistent traffic from aside from Google search. Unlike other social media platforms which send a flurry of traffic over a day or two, a popular pin can send tonnes of traffic day in day out for many months and years. My best pin published back in July 2018, sends between 250-1500 viewers to my site per day. If you learn all the tips and tricks I show you below it's not hard to achieve. It just takes a bit of time and effort in the early stages. Once you have the process down you won't have to spend much time on Pinterest at all, especially if you automate some aspects of it. I spend just a couple of hours a month on Pinterest now but the traffic still pours in. Pinterest currently reports 250 million active monthly users, half of whom are in the US. Pinterest users are mainly women with a median age of 40 (although according to the stats the most active members are under 40 years of age). Men are starting to use the platform and 40% of new members are men so don't rule them out. Just be aware that if your audience is primarily men you may not get quite as much traffic as when your content attracts a female audience. The demographic information shows that users tend to be in the higher earning brackets and have money to spend. Many Pinterest users are looking to make purchasing decisions while on the platform and because of that I make affiliate sales every day from my Pinterest traffic. You can even add straight affiliate links on there if you want to. One of the biggest lessons I've learned during my time working with Pinterest marketing is who my audience is and what they like. This crucial information has helped me create even more content that will be popular on Pinterest. Understand your audience. Create content that they love and you won't go far wrong. How Much Blog Traffic Can I Get from Pinterest? Is it Worth the Effort? I used to lump Pinterest in with all the other social media platforms, but for traffic generation it is far superior. Pinterest has the potential to send you tens of thousands of visitors a month (millions even, if you have enough popular content), will show your brand to millions of people for free, and will earn you money. Talking about money, unlike other social media platforms, Pinterest users actually convert into buyers. The screenshot below shows the traffic from Pinterest to my website Pregged.com between June 2018 and Jan 2019. As you can see, so far Pinterest has brought over 200,000 users to my site which has resulted in nearly 270,000 sessions and over 300,000 page views. Add Pinterest marketing to your list of must learn skills and you could easily double your current traffic and earnings overnight (see my before and after traffic snapshot further down the page). Isn't Social Media Traffic "Low Value" Though? Some social traffic may be a lot of work for not much return, but that definitely doesn't apply to Pinterest. It's hard to work out exactly what that quarter of a million visitors has been worth in cash terms. And had I spent more time testing out a bigger range of affiliate offers it would be much more. (Remember what I said about Pinterest users wanting to buy things - they actually do). That figure doesn't account for the long term brand recognition or the lifetime visitor value that comes with Pinterest traffic either. That is one benefit I don't know how to calculate, but I'm sure if people see my url in the search results and they've already come across my content on Pinterest and liked it they will be more likely to click through to my site from search. So is it worth the time and effort it takes to learn Pinterest and put the work in? It's a BIG YES from me! The ROI has been well worth it. The increased traffic and earnings has made a big difference to my profits and ultimately that's one of the big reasons I'm creating content in the first place. I want as many people to read my stuff as possible (I love to inform and educate), but I also want to earn a passive income from it so I can spend time with my family having a nice life. Another big plus of Pinterest is the brand awareness you can generate. Every time I look at my Pinterest account and see the 1 million monthly viewers figure I'm blown away by the fact that with a bit of effort we can get so many eyeballs on our brand for free. How much would an ad cost on any other platform to expose your content to that many people? Thousands of dollars at least. Safe to say this is one of the reasons I love Pinterest. It's brilliant for most kinds of online content creators, especially those who have their own blog, website or YouTube channel and want to get their brand out there. Is Pinterest Right for Your Niche? This is the big question. Is Pinterest going to work for you? The answer depends on what topic you're writing about. Pinterest works well for some niches and not for others. The first thing to ask yourself is "What demographic does my writing attract?". The second is "Does my target audience hang out on Pinterest?" If you can gear your content towards female readers with any of the interests below then Pinterest is the right place to promote your content. There are so many good niches for Pinterest traffic generation that it's not hard to create content that fits within these topic areas. 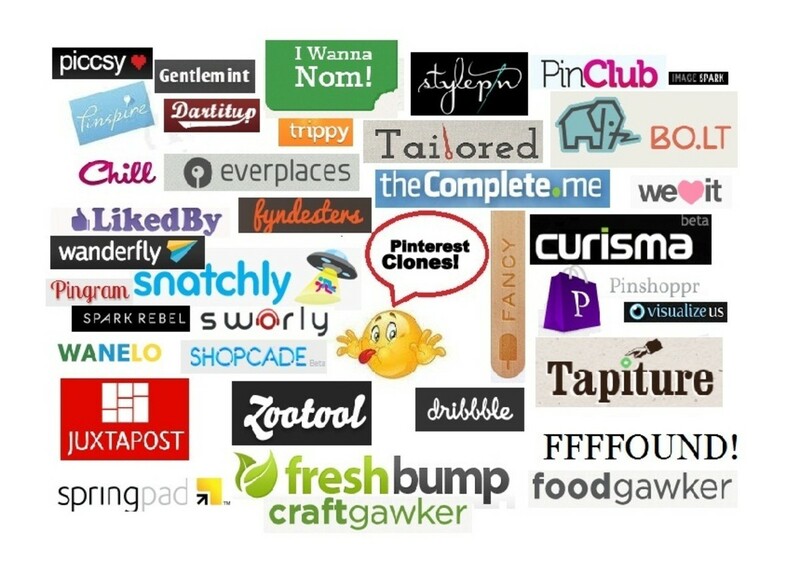 Here are most of best niches for Pinterest traffic. If you want to attract local customers to your business Pinterest is unlikely to work for you. Pinterest is a global site and you can't restrict the reach of pins to just your local area. There are other platforms that will work better for drawing in customers to your local business. Try Facebook instead. As you get deeper into Pinterest marketing and start talking to others who use it as a main traffic source, you'll hear a lot about the monthly viewer statistic Pinterest shows on people's profiles. Mine is currently somewhere between 1 and 1.2 million (which I feel damn proud about), and many power pinners have figures in excess of 10 million monthly viewers. But what does the figure mean and what value does it have? Can you really claim bragging rights over it? The figure simply shows how many people on Pinterest were exposed to at least one of your pins in their feed. In general the more people that are exposed to your pins the better, but the figure can be very misleading. I've heard from many new Pinterest marketers in the Facebook groups I use that their pinterest viewers numbers are high (over the 500k mark) but the actual traffic to their site is abysmal. Literally in the 10's each day. Well it can be quite easily. If your pin designs, titles and descriptions don't draw people to click through to your site, having a big number on your Pinterest profile is meaningless. It's all about converting your viewers into readers. Also the views on other people's pins that you've shared is included in your monthly viewers figures, so if you're pinning lots of popular content and/or you're pinning it on big group boards, a lot of people can "see" the pin, but it won't translate into traffic to your pages. Pinning other people's pins is important, particularly in the early stages so don't think I'm putting you off doing that. Just be aware that it can inflate your monthly viewing figures, especially if you happen to pin a viral pin. Focus on converting your Pinterest viewers into website visitors, ad revenue and sales rather than your monthly account viewer numbers and you'll be going in the right direction. Unlike other social media platforms, followers aren't super important on Pinterest. This is especially true if you are using plenty of group boards, hashtags in your descriptions and Tailwind tribes (learn more about Tailwind at the end of the guide). As your account builds your follower numbers will increase organically. Just follow other people naturally because you like their pins and the same will happen for you. By now you're probably eager to start creating some content for Pinterest or adapting your existing content. But what do Pinterest users like? One of the favorite types of content are called listicles. These are pages with titles like: "10 Ways to Make a Diaper Change Fun" or "6 Best Gluten Free Chocolate Brownie Recipes" or 12 Surprising Ways to Make Your Relationship Stronger". Articles or posts in a listicle format are easy to read and digest by the online viewer which is why they do so well. Online titles containing numbers have been shown to draw the eye and get up to 36% more click thoughs too. Other types of popular content include How to's, memes, quotes, shopping guides and product comparisons. Do some research on Pinterest in the niche or niches you create content in and see what works. There are plenty of ideas there to draw inspiration from so you don't have to reinvent the wheel. I'm pretty lazy so I try to maximize my efforts whenever possible. If I can hit two birds with one stone I will. Creating titles for my content is no exception.. When thinking about titles ideas for your posts try to create ones that will also do well in Google search ie: they contain relevant keywords with traffic potential and Pinterest users. That way your content can receive two good sources of traffic at once. So you've decided to go for it and start getting all that Pinterest traffic flowing in. This is where the strategy comes in. What precisely do you need to do to make the most of Pinterest? What are the Pinterest tips and tricks you need to know? Here I'll take you through what you need to do step-by-step, from the basic to some more indepth suggestions. First things first, you need to sign up and create a business account. A business account won't be possible if you publish on a site that isn't your own site (for instance if you're a publisher on Hubpages, Wikihow or Medium), but don't let that put you off. A business account has a couple of perks such as the ability to create rich pins and see some basic analytics data about your profile performance but that's about it. Without a business account Pinterest is still very much worth the effort. Use top level keywords in your profile name and profile description. When I say top level keywords, what I mean is one and two word keyphrases. This is not the time to be going long tail. You want your profile to come up for some niche specific high volume phrases such as "Pregnancy", " Vegan Recipes", "Parenting" or "Women's Fashion". In the same way we used one and two word keyphrases within your profile, you now need to make boards titled with one and two keyword phrases that are specific to your niche. Don't be tempted to get fancy or be different with your board titles. If you write about parenting for instance, board titles could include "Parenting", "Parenting Tips", "Parenting Advice" and "Motherhood". You want your boards to be found easily. Get ideas for keywords for your board titles and descriptions that people are actually using by simply searching Pinterest with one and two word phrases and then looking at the colored sections under the search bar. For example when I search for "Pregnancy" underneath you'll see "Announcement", "Symptoms", "Diet", "Fashion" etc. When you add the words underneath to your main keyword like Pregnancy Announcements, Pregnancy Symptoms and Pregnancy Diet you'll have some great board names. Also create boards for tightly related content that your audience will be interested in but that you may not personally create content for. An example is I have a board for Nursery Decor even though I don't create content about that topic. I also have a board on Mom Tattoos. These are both topics of interest to my followers and I can draw in new followers by sharing this type of content. Each board you create has the potential to bring more viewers to your profile and to your content in turn so think about what your readers will love. Use sentences to describe your boards but make them keyword rich. Use the keyword research suggestion above to find at least three keywords (go up to five or more if possible) that you can naturally add to your board descriptions. Add at least 30 pins to each of your new boards. When you are starting out adding content to your boards make sure you check out the sites you're pinning from. You only want to pin quality content. If you send your Pinterest viewers to dead ends, poorly created websites or badly written content they aren't going to trust you and you won't get the long term traffic you're after. I haven't talked about pinning your own content yet because there are specific strategies for doing that, but you will also be pinning your own stuff to your boards. One way to get your boards seen right off the bat is to share very popular pins from others in your niche. Pins that are popular and have stood the test of time are that way because they get repinned a lot. Repins are important on Pinterest because it is a sign of engagement and that is how the Pinterest algorithm determines a good pin. If you use a service like Tailwind (more about that later) you can see how many times a pin has been repinned. Some have tens or hundreds of thousands of repins. Another way to find popular pins is to simply search for the top level keyword e.g. vegan recipes, and pin from what you're shown in your home feed. The vast majority of the pins on your home feed will be popular ones. It's a good idea to follow people that are creating popular content in your niche so that you have plenty of good content to pin. You'll get ideas for new content, plus you might get some follow backs as well. The numbers of followers you have isn't hugely important on Pinterest, but if you get a repin from a big account it will help because your pin will be shown to their followers. In Pinterest lingo we call this increasing your reach and it's one of the most important things you want to focus on with your Pinterest marketing efforts. We need to take a little break from the step by step guide now and talk about pins. We've covered a lot of aspects of Pinterest strategy and marketing already and we have yet to speak about the most important thing on Pinterest. Pins are what make Pinterest Pinterest and how you make them is going to be a huge factor in your success. It's going to take some practice, experimentation and reviewing of results to master the art of pin creation but the more you do it the better you'll become. My early pins were TERRIBLE. They're now a little better but since I'm not a very accomplished graphic designer I still get serious pin envy at those who have a natural talent for making things pretty. Don't let your graphic design skills, or lack of, hold you back though. The important thing is how a pin converts into website visitors. Ugly pins can do well and beautiful pins can do well, mediocre pins can also do very well. You really won't know until you start sending your pins out how successful they'll be. There are quite a few free websites you can use to make your pins such as picmonkey and Canva. I use Canva to make all of mine because it's easy and there are plenty of free graphics, fonts and photos you can use. For the first few months I used the free version of Canva which is absolutely fine for most people. Then after a while I wanted the options to create templates, save my brand colors, resize designs easily and download PNG's with transparent backgrounds so I upgraded to the $9.99 monthly plan. It's worth it for me but it might not be for you. 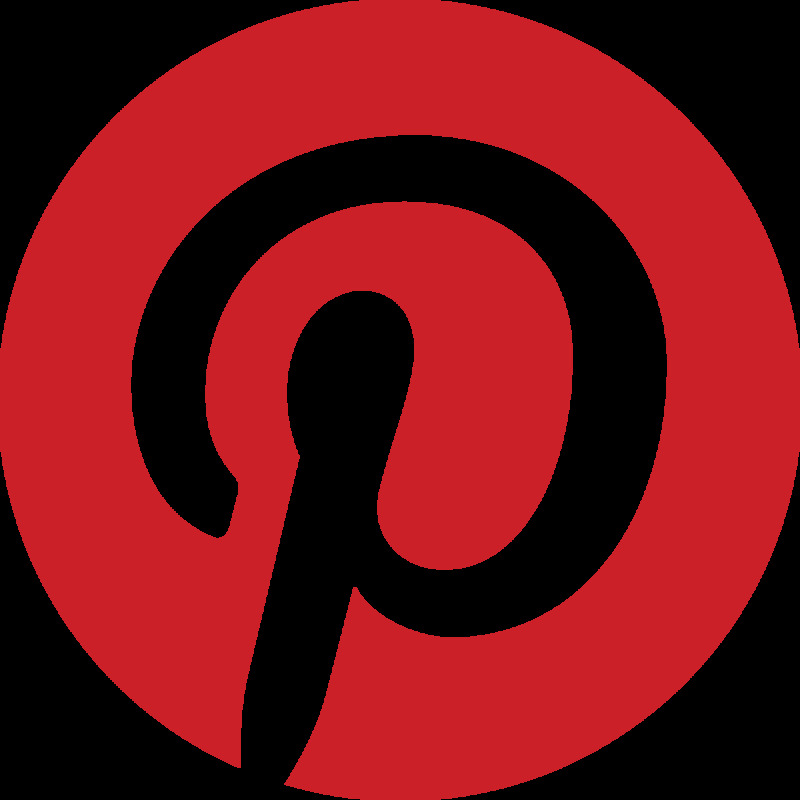 Pinterest likes pins to be in a 2:3 aspect ratio and a minimum of 600 x 900. Canva has pin templates you can use that are already formatted to this size. Personally, the pin size that has worked best for me is 735 x 1250 but it's good to test out different sizes. Longer pins (also called Giraffe pins) can do well also but they may not be seen as often. Pin design comes down to two main factors. The images and the overlaid text. It's going to depend on your niche whether one of these factors is more important for your pin design than the other, or whether both are going to be crucial. In my niche (pregnancy), the most important aspect of pin design is undoubtedly the wording I place on the image. The image is often supplementary. If you're in the recipe or travel niche then the photo is probably going to be more important. Do your research and do some Pinterest searches in your niche. Study the pins that catch your eye and see if you can identify exactly what it is that captured your attention. The colors? The headline? The call to action? The style? The font? Try to make your pins stand out. If everyone in your niche is creating grey pins then try out some bold colors. Try to find some nice clear to read fonts that others aren't using. Canva has hundreds to choose from. Think about the text in your pin headlines carefully and make sure they are in as big a font as possible so they're easy to read. Try out different headlines on different pins to see which resonate with your audience best. Use power words where you can to create intrigue and encourage click through. Use numbers and phrases like "How to", "tips" and "ways to". Make the text on your image irresistible. Your ultimate aim is to get the person viewing your pin to your site or blog where you can earn revenue and sign them up for your email list. Crafting pin descriptions that create a bit of intrigue in the reader is an essential skill to master and requires understanding a bit of copywriting psychology. You want to entice them enough that they want to click through to your page and read your content. Questions in descriptions work very well as people want to find out the answer. You can also make them feel like their going to be missing out by not clicking through e.g. don't make this mistake or don't forget this one crucial thing. When writing the description don't give away the whole outline of your article or blog post. It needs to be a teaser. Aim to write about 3 sentences for your description so that you can get plenty of keywords in. Plus add around 5 hashtags to the end of the description. 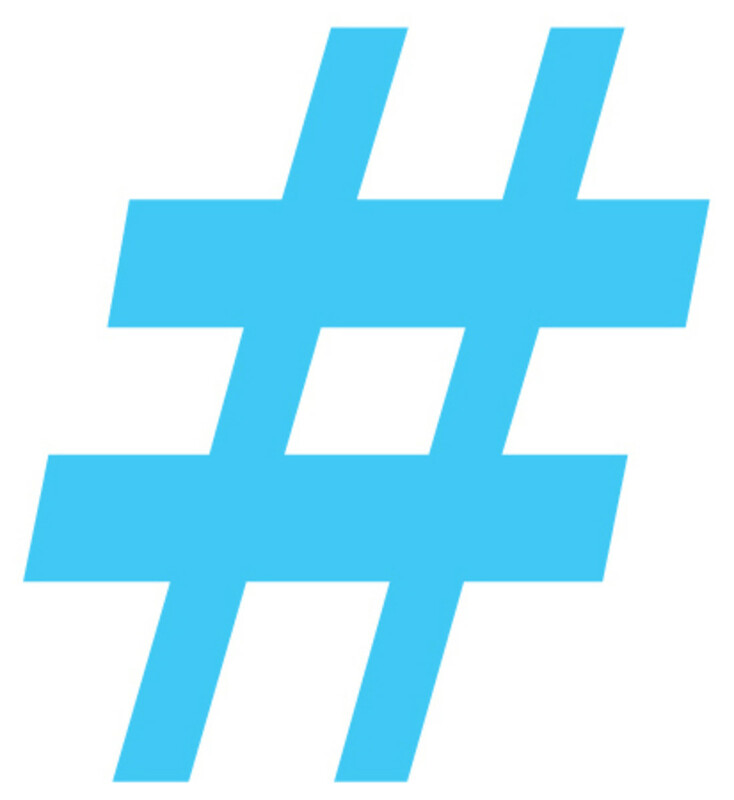 See the section on Pinterest SEO for more on choosing hashtags. How Many Pins to Create per Post? Now we're heading back into more detailed strategy. As a Pinterest newbie this is a question you will probably not have considered. If you've used Pinterest before you will probably have created one pin for a post and that's it. Well you need to scrap that idea from your brain right now. Over time you are going to want to create multiple pins for each post. Pinterest loves new pins, even when they go to the same page. Plus the more pins you make the more the chances are that one will go viral and bring long term traffic. Some of my pages have 5 or more pins in circulation and I know many Pinners who have a lot more. Depending on the amount of content they have and the time factor, they create new pins every few weeks or months. This is what I strongly suggest you do too. So how many pins should you make to begin with? For each post I normal start out by creating two pins. One at the 600 x 900 size and another 735 x 1250. This is a new strategy that not many people know about but it's a great way to start. Add one pin to your post or article if you wish, and then post both size pins to Pinterest straight away. If your adding your pin to your WordPress post, use the alt image description area to write your pin description. This will then be posted along with your pin whenever it's pinned from your site. Pin both size pins to the most relevant board first and then post them to a board which only contains your content - what I will call your Brand Board (see more about this in the board section below). 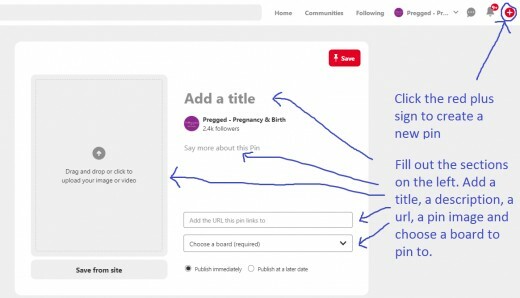 You DO NOT need to add pins to your posts if you don't want to because you can upload them directly to Pinterest via the create a pin button. Note: Some bloggers recommend adding all their pins to their posts but they use code to hide all but one of them. Coming from an SEO background I don't think this is a good idea because Google doesn't like hidden content so I have not used this approach. Your takeaways from this section should be to make new pins often and keep experimenting with the text, pin size and design. Finally we get onto the topic of Pinterest boards. Pinterest boards are a hugely important part of your Pinterest strategy. The first thing to be aware of is that you want plenty of boards containing your keywords - titled with both one word phrases and two or three word phrases - to be able to pin to. The more boards you have to pin to the more often you can pin a single pin. 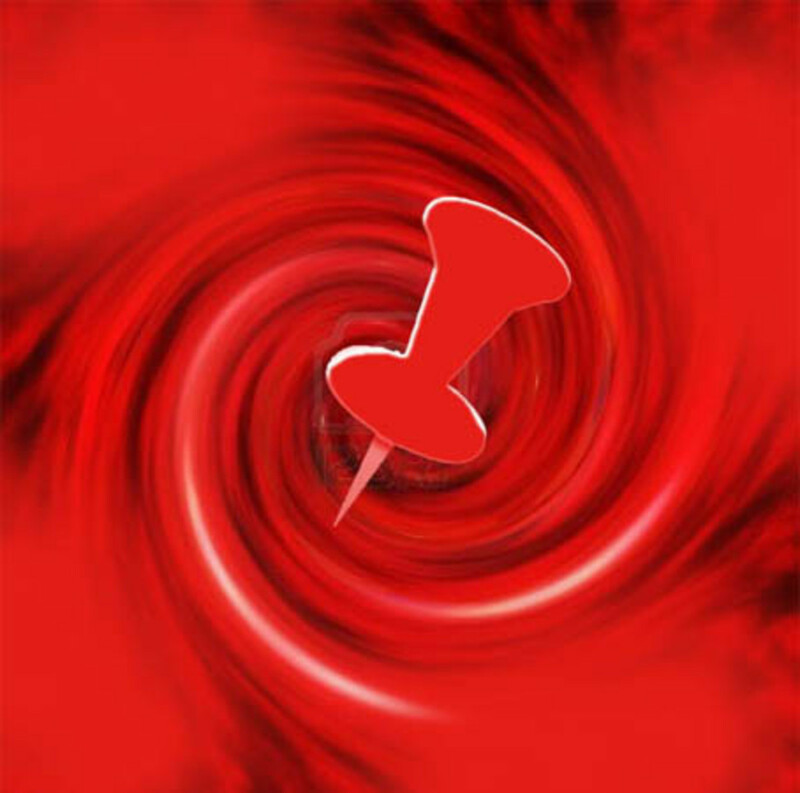 The more often you can pin it, the more people are potentially going to see it and the more likely it is that the pin will get repinned by someone else which will spread its reach even further. The more people that see your pin the more traffic you can get to your site or blog. If not here's an example to make it clearer. I have a post on my website called "Vomiting in the Third Trimester". I can add the pin for the post to my board called "pregnancy", my board called "third trimester pregnancy", my board called "pregnancy symptoms" and my board called "first pregnancy". In fact I have around 10 of my own boards I can add that pin to. I also have another 30 or so niche focused group boards I'm a member of that I can add that pin to. Having the opportunity to pin a pin to so many boards means I can pin that pin every day or every few days to a new board. It's going to take a good couple of months to cycle through all of the boards if I spread the pins out a little. Then when I get back to the beginning - you guessed it - we start going through the loop again. Pinning to the first board and so on. We want to be continually circulating our pins to give them maximum exposure. Some super pinners use a spreadsheet to keep track of what they've pinned where and when, but that's way too time consuming for me. I prefer to use a Pinterest scheduler called Tailwindapp. The interval feature allows you to decide which boards you want to pin to and then set time intervals between pins. I also use one of Tailwind's add on features called Smartloop, which allows me to set up pins on loops and goes through the pinning schedule automatically. Create one board that is only for your own content and use your most valuable top level keyword in the board title. So for my brand board I decided to use the title "Pregged Pregnancy Articles" as pregnancy is my top level keyword. Post your new content to your brand board and again every couple of months or so, so that your new followers get a chance to see it. What are Group Boards and Are They Still Useful? Group boards are simply Pinterest boards with more than one contributor. Pinterest recently downgraded the reach for some group boards which led some people to say that they were now redundant. This assertion is not true at all. Niche focused group boards are still very useful and they form a big part of my Pinterest strategy. I recommend staying away from multi-topic group boards (where you will find limited reach), but active niche group boards will really help with your reach and traffic. Once you've got some content to pin and an active profile it's time to find some group boards to join. To find group boards on Pinterest search boards containing your top level keywords and look to see how many contributors are shown. Some are titled with the words Group Board so search for that phrase too. Join as many high quality group boards as you can. Look for group boards that are active with good quality pins that lead to good quality information. (Do check out the sites being linked to). Stay away from group boards that have the same pins pinned over and over. It's ok to pin the same pins to the same board but they should be well spread out. Ideally find group boards with more followers than you have (this is going to be all of them when you just start out). The more followers a board has the better. First follow the board owner and all their boards and share some of their stuff to your boards. Then contact the board owner on Pinterest (type in their Pinterest profile name in the create message option) or contact them via their website and ask very politely to be added. Send them your Pinterest profile link and your Pinterest email to make it easy for them to check you out and add you. When you are added to a group board be a conscientious member and make sure you follow the group board rules to avoid being removed. Consider starting some of your own group boards. Another place to find group boards is the website PinGroupie. You can search by category to discover boards in your niche. We've already covered quite a lot of Pinterest SEO factors in this guide. Various elements such as choosing the right keywords based on Pinterest categories, writing our profile, board titles, board descriptions and pin descriptions all come under the topic of Pinterest SEO. There are a few other important things to be aware of as well. When we do keyword research to get our pages ranked in Google search we usually have to go long tail. That means choosing keyphrases that are at least 3 words long - or more likely 4, 5 or 6 words. With Pinterest I find shorter phrases do better because that seems to be how people search on Pinterest. 2 or 3 word phrases are good for high visibility. What I mean by keyword matching is to use the same main keyword in your Pin title, Pin image and in your Pin description. Pinterest software can read text on images (how cool is that!) and I've found that when you have your main keyphrase as near to the top of your image as possible it boosts your SEO for that pin. Equally try to get your main keyphrase as close to the beginning of your pin title and pin description as you can. Like Instagram, Pinterest uses hashtags to categorize pins and help people find things more easily. For ages I kept forgetting to add them to my pin descriptions but now that I remember it's really boosted my daily traffic. HubPages automatically generates the pin description from the title of your hub. This isn't good for Pinterest SEO. You have several options for overcoming this so don't worry. This guide is already as long as it can realistically be and I can't cover more SEO tips here. Safe to say there's a lot more to Pinterest SEO if you want to delve further, particularly on the keyword research side of things. What to pin? How often to pin? Do I need to worry about ratios of my own pins verses other people's pins? These are the questions that probably have the most confusion surrounding them. It certainly doesn't help that you'll get all sorts of different answers depending on who you ask. This is my advice based on various experiments and what has ultimately worked for me. When you start out you want to pin more of other people's content that your own. Think about your Pinterest followers (or your ideal followers) and what content they will enjoy. Pin that. I'd aim for 20% of your own content to 80% of other people's to begin with. Gradually as you build up your Pinterest reputation you can start increasing the percentage of your own content. Level up the ratio every 2 to 4 weeks. So you'll be going from 30:70, 40:60. 50:50, 60:40, 30:70, 80:20. You may even get to a point where you only share your own content. Although personally I think my followers like a bit of variety, many accounts only share their own pins. How much you pin does depend a lot on how much content you have as well. If you only have 10 blog posts you're going to be pinning a lot less of your own content than someone who has 100 posts to share (unless you're making new pins every day which is a valid option). Pinterest says they like pinners to be consistent and pin regularly. This means pinning around the same number of pins daily and making gradual increases to the number of pins. When you get into regular pinning most bloggers are going to need to pin 20-40 pins per day. You may even go up to 100 pins per day or more if you're a big site with tonnes and tonnes of content. So if you decide you're going to start by pinning 20 x per day. That will be 4 of your own pins and 16 of other people's pins. Try pinning at different times of day to catch different people. Evenings and late at night are the best times for my content (as per my Google Analytics data). You may find that different times work better for you. Pinterest spam filters are pretty terrible and are known to catch innocent users all the time. Most Pinterest marketers will have had an experience of being suspended accidentally at some point. If it happens to you, you'll need to contact them directly and ask for a manual review - sometimes you'll need to contact them more than once. Make sure you have been following all the rules first though. 1. Only pin from your website, blog, or tailwind. Or create a new pin using the pin creator button. 2. DON'T EVER repin your own content on the actual Pinterest website. Pinterest hates this as they say it creates fake engagement. They really want to avoid this. 3. Don't pin the same pin to the same board more than once per month. Depending on how active the boards are (with 3rd party pins), you might want to spread them out even more. You want other pins in between the same pin if that makes sense. 4. Some people advise pinning the same pin no more than once per day, others say it's ok if they're all going to different boards. I've experimented with this and haven't had any issues sending out a pin hourly to different boards. This guide on how to get Pinterest traffic is already at over 7,000 words so I'm just going to cover affiliate marketing briefly. (If you want to get into this in more depth I recommend one of the courses below). All I'm going to say is that if you're providing information on products and you create that content with Pinterest users in mind you can make serious money through promoting affiliate offers. As I mentioned before, Pinterest users are often looking to make purchases (they're exactly the viewers you want looking at your product recommendations because they already have their wallets out) and they tend to be in the higher earning brackets. Writing product reviews and comparisons or writing about problems people have that need product solutions will convert well on Pinterest. I make sales everyday from my amazon account, plus many of the other affiliate networks I work with. This is an area I'm exploring more and more each day and putting more effort into because I'm seeing the returns. You can also add straight affiliate links to Pinterest if you create a pin to go with them. What I mean by that is you don't need to send people to a post about the 10 best widgets for home cooks, you can simply post each item and link directly using the affiliate link. I haven't seriously tried that method but a lot of people do very well at it. So you put in all this work creating and distributing your pins but what can you expect in terms of traffic growth? My own experience was very up and down first 6 months. Traffic could quickly swing from 500 a day to over 4,000 as a pin started getting repins and then died down. One day I got a pin go viral and had 18,000 site visits in 48 hours. That was exciting! As Pinterest gets to know your account and your pins things may settle down a bit and traffic becomes more consistent. You'll still get many peaks and troughs as a pin gets picked up and repinned a few times, or a new pin takes off, but overall it gets to a point where you're steadily growing. I heard others report the same kinds of traffic patterns but I thought I'd never get there. I'd get very miserable during the lower traffic days, especially when I was putting in so much effort. The thing is you just have to ride it out and keep working it. Don't let the apparent fickleness of Pinterest put you off. This is a long term strategy that will pay off if you keep at it. You're getting more followers everyday, users are getting to know your content and you'll get a lot of repeat visitors if they like what they see. To Pin Manually or Use a Scheduler? When I first started working with Pinterest I pinned everything manually. I'd go onto the site 2-4 times per day and spend 10-30 minutes each time looking for nice pins to repin on my boards, pinning my own content from my site, following other Pinners and generally getting a feel for how the site worked. Often what should have been a 30 minute blast turned into a couple of hours browsing the site and enjoying the content that I was discovering. Pinterest is a fun place to be and it can get very addictive! I'd read that Pinterest likes users to be consistent and pin daily, so I'd often be on the site at least an hour each day and that included weekends. With me being in the UK and my main audience in the US the best time to pin was late at night. I would often stay up until 12 or 1 pinning to try and get my content in front of the people I wanted to see it. You won't be surprised to learn that after a few months of this routine it started to become a chore and my day times were being affected by lack of sleep. Yes I was seeing results in terms of traffic and earnings (in fact the results were immediate) but I was finding it hard spending so much time on the site. I'd read a lot about the Tailwind scheduling app from other Pinterest marketers. Everyone said it saved them loads of time and helped deliver more traffic to their blogs which sounded like something I definitely wanted, but I wasn't ready to take the plunge and buy the subscription just yet. I was still testing the potential of Pinterest and I also wanted to get my website earning some decent money. Fortunately, because the traffic from Pinterest had been so good I was able to apply to Mediavine - an Ad management company - and start earning from it almost straight away. Over the next few months my confidence in the Pinterest platform as a consistent traffic generator grew and I knew it was time to invest in Tailwind. Here's a little overview of some of the benefits. The Tailwind app is an approved Pinterest scheduler and it allows you to do several really handy things. Join "tribes" in your niche which makes it super easy to find good content to share. I've also made some really good connections with other people in my niche. Your tribemates will also be sharing your content to their boards. This is a brilliant way to get more traffic to your site. When you get to the point of wanting to see what Tailwind can do yourself, use this link to get your free trial. You get to schedule a 100 pins for free and take as long as you need to check out the platform. There's no time limit on it. It can feel a bit clunky and hard to find your way around Tailwind at first, but it doesn't take long to get used to it. So the big question is, "Is Tailwind worth the expense?" For me the answer is yes. The ROI (Return on Investment) is well worth it. I'm averaging around 40,000 visits per month from Pinterest which earns me in the region of $500 or more per month (ad revenue + affiliate income). The tailwind pricing for bloggers and small businesses is $9.99 per month and you can buy add ons if you wish. I think my total monthly payment with add ons is around $30. To me that's a no brainer. $500 vs $30. I'm also saving myself a good hour's work each day by having everything automated which allows me to work on other things, like publishing more content and working on developing my affiliate offers. That's the biggest bonus for me. No more late nights! I spend on average 4 hours per month on Tailwind and less than an hour on Pinterest and that has my traffic and earnings bobbing along nicely. I need to ramp it up really because I know if I spent more time creating new pins, distributing them and optimizing my account I could double my monthly Pinterest traffic fairly easily. It's just a constant juggling act deciding what to prioritize when you have your own site and a family to look after. Most Pinterest marketers do end up using Tailwind but some don't. Some still go on to Pinterest 2 or 3 times a day to pin. Ultimately the choice will be down to you and what you decide to prioritize. For me it makes life a lot less stressful to know I have all my pins for the month scheduled and I can get on and do other things. Even though I've provided tonnes of value in this super loooong Pinterest guide and given you some great strategies to try, there's still much, much more to learn. At the beginning of my Pinterest Strategy Guide for 2019 I said I'd invested in some Pinterest courses and ebooks to help me understand the ins and outs of how to market my content on the platform. Here's a bit about which products I used and which I'd recommend to those who want to stop being a poor content creator and really get that income rolling in. Some of the resources I bought were ok but nothing to get excited about. Others were fundamental to me earning $4,000 minimum from my Pinterest marketing efforts. I started with this Free Pinterest Bootcamp from Paul Scrivens (scrivs). Surprisingly, I hadn't heard of him before my recent search for a Pinterest mentor. The surprise comes in because I've been at this whole online writing things a good while (10 years) and he's a veteran blogger who's been doing it twice as long. The bootcamp was a great starting point in my Pinterest journey but it wasn't long before I wanted something more in depth. I felt Paul's paid course was a bit expensive for me at the time so I checked out a load of other Pinterest marketers who seemed to be doing well and looked at their learning materials. After some digging around on Pinterest (which is a great place to find stuff like this btw) I ended up on Megan Johnson's website via a pin. Her Pinterest course had a deal on at the time and was very reasonable at just $79. Her results looked promising too, so I went for it. The course was a good compliment to the Free Pinterest Bootcamp I'd already done and I implemented many of the strategies and tips straight away. My Pinterest traffic was rising by this point, but I felt like I needed more direction on the strategy side. Megan was obviously doing well on Pinterest but I wanted to learn from someone who was totally rocking it on there. I had over 100 pages of content to promote and I now knew that the traffic potential was huge - if only I could get the strategy right. Using the info I'd learned from scrivs Free Pinterest Bootcamp I started my Pinterest marketing efforts in the middle of June 2018. The traffic increase from Pinterest was almost instantaneous. I went from under 100 visitors per day to 1000-1500. I decided to go back to Paul Scrivens Pinterest course and take another look. I had already started to see the traffic and earnings potential of Pinterest and I knew that I could quickly earn back the money I would spend on the course if it delivered as promised. Paul's income is at the tens of thousands of monthly earnings level and a huge chunk of that comes from his Pinterest traffic so after a lot of research I decided to trust. I took the plunge and bought his Pinterest course. Without a doubt it has been some of the best spent money in my online journey. The strategies I learned have earned me the initial outlay 20 times over in just a few short months. And as my Pinterest income grows so the investment becomes tinier and tinier in comparison. 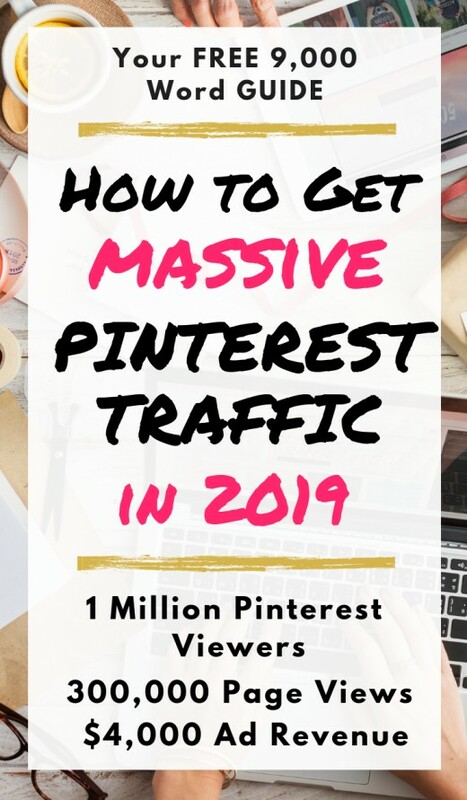 So finally at nearly 9,000 odd words we've come to the end of my guide on how to get Pinterest traffic in 2019. I sincerely hope you can use all these strategies and tips to start rocking Pinterest! If anything wasn't clear or you need further info, feel free to ask me any questions in the comments section. Pinterest: A social marketing tool or just a social vacuum? Thanks for this great and unbelievably free resource. You have covered pinterest marketing from end to end. I am heading over to Pinterest to begin implementing some of your strategies. Hopefully, I will be able to achieve great results. Terrific information. Thank you so much for sharing it. Thanks so much for this information, it's very informative and has helped me understand what I need to do to grow my Pinterest Traffic! So very helpful, thanks a million! I’ve alrady changed my profile around a bit and planning on joining more group boards and scheduling more and more of other’s contents since I’m quite new. It's posts like this that provide Content is King! What sensational detail and value you've provided - outstanding post. I am now new to Pinterest. I am also trying to make the ropes. Thanks every one. Fantastic and well put together blog post. I thought I was doing ok on Pinterest but there’s so much more i can be doing!!! Hello, Treathyl Fox, & @ Susana, today I am trying to registered for a business account. And, I am taking my time to study the recommendations. I hope you peoples who have garner significant experiences on Pinterest will be able to guide the newbies to Pin. Thank you. I have 50+ Pinterest boards and it has taken me well over 5 years to start getting mileage out of my Pinterest account. All the advice and tips you provided in this HUB are tested and true. The advice that can't be said enough is about joining Group Boards. The letter “g” in group stands for GOLD! Hello, Susana, thanks for the response. I had a blog at blogger. Have a nice day. Hello, Susana, you request one open a business account for Pinterest. But where is the link to that effect? Thank you, and good day! I had bookmarked this page for my perusal. Thank you. This is an extremely helpful article. Pinterest is on my list of things to do once I have written a few more articles. This is a very informative article and one that I will study in more depth in order to learn more. Pinning this! This was such a great post! I have read so many about Pinterest but this is by far the best. I've been steadily building mine to 334k view per month but my own pin views and clicks through to website are still low - thats what I'm working on now. I'm going to implement a few of your strategies :) I'm also seriously considering adding those power ups to Tailwind so I can let that do more the pinning labour. I have been blogging for more than 1 year now and have been trying to get the pinterest account more active. I hope these tips will help increase my traffic too. Impressed by your stats. Thanks for the educative and information article. Il oved it. I'm terrible at pinterest, to be honest. But recently my views dropped. they were 11k, then 10k, now 9k. No idea what's wrong. I'll try to follow your advice, thank you! Thanks much for a tremendously helpful strategy guide for making Pinterest. Chock full of information, this post will be hugely successful for you, a lesson for others in itself :), and long-term useful to writers across the board. Will be returning, and am posting to my Pinterest Interest board now.